Lunarpages is a company that you probably haven’t heard about before, in terms of web hosting. It’s not exactly a standout web hosting provider, but it certainly delivers in terms of reliability and affordability. Lunarpages was established in 1998 and was known for offering a variety of website solutions. The company skyrocketed to fame but unfortunately, there were some issues that popped out a few years back – customer support couldn’t keep up, clients kept complaining about frequent downtime, and the company switched their control panel from cPanel to a proprietary program. I once had an account with them but I cancelled it three years ago (though it’s not really because of poor customer service). Right now, from an outsider’s point of view, things seem to have changed a lot a Lunarpages, which piqued my curiosity once more. Lunarpages seem to be getting back on track now, with more than 200,000 client sites under their wings. But top web hosting providers didn’t get to where they are now based on reputation alone. There are many factors that propelled them to the top, and that’s exactly what I’m looking for in a good web host. If Lunarpages is one of your options for web hosting, then stick around for a bit because I’m going to give you all the nitty-gritty details. My aim is to unravel the secrets of their hosting services, which is why I wrote this in-depth Lunarpages review with a discerning eye to their hosting packages, pricing, features, performance, technical support, and everything in-between. Lunarpages provides a wide range of web hosting plans that meet everyone’s needs and budget. Rest assured that they have something in store for both beginners and high-end users. Striving to build a solid reputation for reliability and affordability, this web host offers shared, dedicated, eCommerce, and managed WordPress hosting packages. The choices are varied, but I’ll round up all the hosting packages you need to know to avoid confusion. Lunarpages’ shared hosting plan comes with 3 “sub-plans”, namely Starter, Basic, and Business plans. These affordable plans are ideal for individuals and small business owners who are looking to build a simple website or personal blog. Planning to start up your own website or blog? With Lunarpages, you can stake your claim on a piece of the Internet without spending an arm and a leg to get it. By opting for their Starter hosting plan, you’ll have your own web presence up and running quickly, easily, and efficiently – no technical skills required! Create up to 5 email accounts, complete with unlimited forwarding webmail options, and spam protection. Add various web scripts to your site with just a few simple clicks, including shopping carts, forms, social media integration, etc. User-friendly technology that includes quick and easy setup, plus an intuitive web-based control panel for managing emails, website files, and more. Lunarpages even let you try out the control panel via a demo. Lunarpages will also help you turn your site into a profit-generating machine. With an eCommerce functionality, you can promote and sell your own physical or digital goods, or you can become a seller for someone else’s products using shopping cart software like osCommerce, Zen Cart, CubeCart, and more. You can also maximize your site’s usability with extras and upgrades, but you’ll have to pay additional costs. Are you considering launching a site or blog for sharing your thoughts and ideas, or for earning some extra cash? Lunarpages have greated a hosting package to help you get the ball rolling. Their Basic web hosting plan continues to be the most popular shared hosting plan they offer, and it offers great value for money. Best of all, you have a choice between Linux- and Windows-based servers! For those who want ease of use and accessibility, Lunarpages offers a Linux Basic Web Hosting plan. It’s the perfect solution for web developers and site owners with smaller hosting needs. It’s packed with hundreds of useful PHP scripts which you can install using the built-in Softaculous auto-installer, and comes with support for multiple scripting languages. Unlimited disk space, monthly data transfers, databases, domains, FTP accounts, etc. With these cool features – and many more – the Linux Basic Web Hosting plan is the best choice among those who want to make website creation and getting it live on the Web a lot faster and easier. It’s a nice combination of convenience and affordability which is a rarity in shared hosting plans. Other similar web hosts that offer budget-friendly and reliable shared hosting packages include BlueHost, eHost, and iPage. Make sure to check them out first and make a comparison before signing up with Lunarpages or any other web host! The Linux operating system (OS) is the most popular choice when it comes to web hosting, but there are times when you need specific applications to make your site work. Your choice of OS for your server can make a huge difference, especially when some OS restrict the use of certain apps, languages, or software. Microsoft SQL server for storing data i.e. web content, products, users, etc. Lunarpages strive to provide clients with powerful tools and options to make the most of their Windows hosting plan. 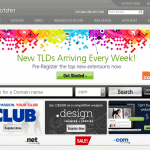 Other similar web hosts that offer Windows hosting include Arvixe, HostGator, and Register.com. A serious business owner would want to have his own online store in order to reach more customers and prospects. Building a website may be tricky, but that doesn’t mean you have to spend a lot of money to have a professional-looking site. Saving cash on your business expenses can help you boost profits. By spending a reasonable amount on important things like a secure and reliable business hosting package, you can protect your bottom line by reducing risk. Such is the case with Lunarpages’ Business Web Hosting plan. With a modest rate and generous amounts of features and extras, this hosting plan is a cheap and all-inclusive way to satisfy your online business needs. This is a good option for those who want a more business-centric web hosting plan but it pales in comparison to similar hosting packages offered by other web hosts. And if you want more eCommerce features, you’ll have to pay extra fees. What’s more, the Payment Processing feature is only available to users based in the US. You must request a quote from Customer Support if you wish to know more about this hosting plan and the features included (and excluded). Lunarpages offer pretty decent features on their hosting plans, but they’re not quite the best you’ll find in the market. Other web hosts have far more unique features to offer, and at cheaper prices at that. Lunarpages only offer unlimited resources on their higher hosting plans, unlike web hosts like BlueHost, which offer unlimited bandwidth and disk space on their low-tier shared hosting plans. As I’ve mentioned earlier, most clients go for their Basic hosting plan, because it comes with just the right features at a reasonable price. If you want a bigger and more robust hosting plan for your resource-intensive website, a shared web hosting plan just won’t do. If this is the case, it’s time to upgrade your shared hosting account and go for dedicated web hosting. Lunarpages happens to offer dedicated web hosting which give you the resources and capabilities of an entire server that you won’t share with anybody else. Because you have a server all to yourself, you’ll have enough bandwidth and memory to handle high-traffic volumes, as well as all sorts of multimedia and interaction. A powerful server means a better-performing, more reliable, and more secure website! For those who want to build their site on the Linux platform, Lunarpages offer three standalone plans, with a price range between $145 and $825 per month. 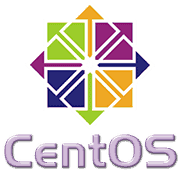 They claim to offer high levels of security and performance, as well as top-notch control and management options on their Linux dedicated hosting packages. You can upgrade some of the features, including storage, bandwidth, backup storage, as well as additional IP addresses (among others). However, you have to pay extra fees to get them. Some web hosts like BlueHost offer more disk space, bandwidth and RAM at cheaper prices. And with the large amount of resources offered on their dedicated hosting plans, I bet you don’t have to pay additional costs for upgrades. With Lunarpages, you can also opt to add the Softaculous auto-installer to your plan, which is a control panel add-on. But this, too, comes at a price (depending on the control panel you use). And unlike other web hosts, Lunarpages doesn’t let you use the cPanel control panel for free. You have to pay an extra $10 for the installation, and an additional $35/month, which is downright expensive! They’re basically urging you to use their in-house online control panel, LPCP, instead, which is easy to use but lacks a number of features. You can get away with this control panel but if you want to stick with the more popular, more user-friendly, and more feature-rich cPanel, you’ll have to shell out more cash just to get it. My advice? Look for a different web host! Lunarpages offer three OS for their Windows Dedicated Hosting plans. It’s ideal for those who need to run ASP.NET apps or scripts, MS SQL databases and server specifications, or MS Exchange Servers. Price ranges from $170 to $975, depending on your chosen OS. Refer to the chart below for a full comparison of the pricing and features listing. 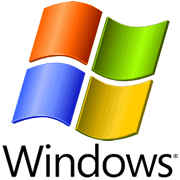 Just like their Linux dedicated hosting, the Windows dedicated hosting plans are expensive, if not more costly. They’ve also set limits on the amount of disk space, bandwidth, and RAM you’ll get, among many other features. Once again, you need to pay extra fees for upgrades. This is probably the main reason Lunarpages don’t get a lot of clients for their dedicated hosting packages. With that said, if you’re looking for a dedicated hosting plan that won’t break the bank, it’s best to just look elsewhere. But if you’re really in need of Windows hosting, Lunarpages should probably be under your radar, since not all web hosts give you this option. Still, you need to talk with a customer service representative to give you a quote to find out just how much you’ll pay for their Windows hosting service, and to avoid paying for unnecessary features. It goes without saying that WordPress is the best, most powerful blogging platform and content management system (CMS) in the market. It’s easy to use, is backed up by a large community of web developers and designers, and has a huge repository of free and premium themes and plugins. There’s no reason not to build your blog or website with WordPress. If you’re planning to have your site hosted with Lunarpages, you’d be glad to know that they’re offering Managed WordPress Hosting. It’s a fully optimized, feature-packed, and scalable WordPress hosting solution that will help you launch a site that’s built on industry best practices. Combined with Lunarpages’ high-performance hardware and their team of knowledgeable IT experts, your business will have the edge it needs to compete and stand out in your chosen niche. At $50 a month, Lunarpages’ managed WordPress hosting plan isn’t exactly the cheapest option in the market. In my experience testing out various web hosts, this is probably one of the most expensive WordPress hosting plans I’ve seen. A web host like iPage offers a much cheaper managed WordPress hosting package. In fact, theirs is as low as $6.95 a month! So before you take the plunge, make sure to check out other web hosting providers and their managed WordPress hosting plans. Who knows, they might just have the features you need at a cheaper cost! All of Lunarpages’ hosting plans come with free website builders but if you want a more user-friendly and feature-packed site builder, you might want to check out their Weebly Website Builder Plans. 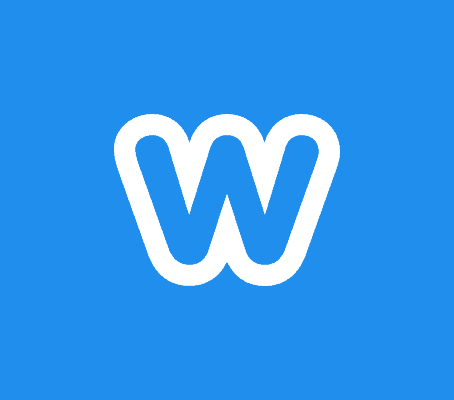 Weebly is a popular and easy-to-use drag-and-drop website builder that allows you to build a fully functional website in less than 5 minutes. With Lunarpages’ managed hosting plans, you can get this done for you with the help of their team of experts. They’ve partnered with Weebly to bring their clients the best in site-building tools so you can get a full-blown site up and running in no time, without too much hassle on your part. With their Weebly hosting plans, you’ll get fully customizable templates, a mobile-responsive design, unlimited web pages, and an advanced eCommerce platform with all the tools and features you need to help you grow your online business. That’s right, you’ll have a comprehensive eCommerce solution by purchasing this plan! You can sell your products online and provide a smooth and secure shopping experience to your customers, across the Web and via mobile. You can choose from a whole plethora of professional-looking storefront themes, easily track your inventory, integrate discount codes, and choose from various payment methods like Stripe and PayPal, just to name a few. Besides these, Weebly will also automatically set up your site to be optimized for various search engines by using sitemap, through automated pinging of new content, proper HTML formatting, and meta descriptions. 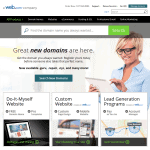 As you can see, Lunarpages offers a FREE Weebly hosting plan that’s ideal for individuals and small business owners who are looking to build a simple website that doesn’t require a lot of functionality. But if you want more advanced features, you’ll have to pay a few more bucks. I don’t really know Lunarpages’ deal here, but they really have a knack for putting a hefty price on a feature or tool that’s otherwise available for free or for a much lower price in other web hosts. LPCP Control Panel – Is It Good? 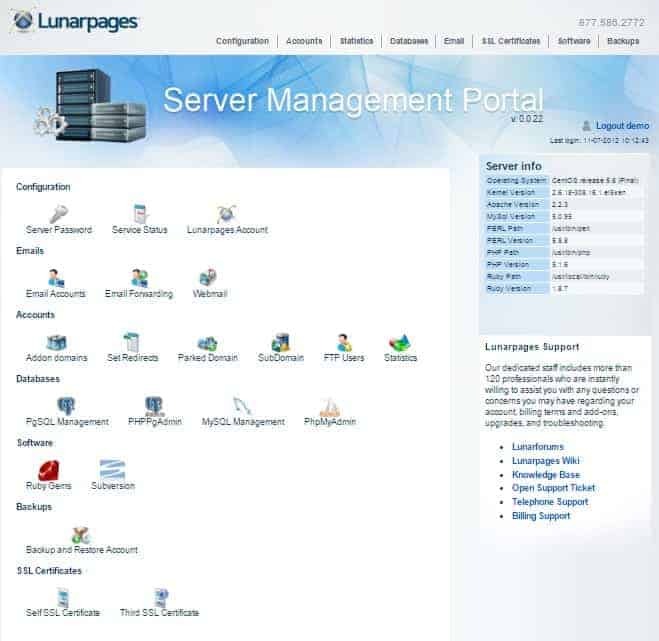 Lunarpages has three different control panels: cPanel, Plesk, and their very own LunarPages Control Panel (LPCP). Plesk is only available on their Windows hosting packages. The real issue here lies between the cPanel and LPCP control panels. Lunarpages once used the cPanel control panel, which is what almost every other good web host is using right now. But for some reason, they’ve decided to develop their own control panel known as the LPCP. There could be two reasons for this: (1) cPanel requires web hosts to pay license fees before they can install the software on their servers so Lunarpages might be saving on license fees, thus business cost; and (2) Lunarpages want more control over their control panel so they can easily add/remove whatever features they want. The thing is, they didn’t migrate old users to the LPCP. Only new clients are being placed to their new LPCP servers. 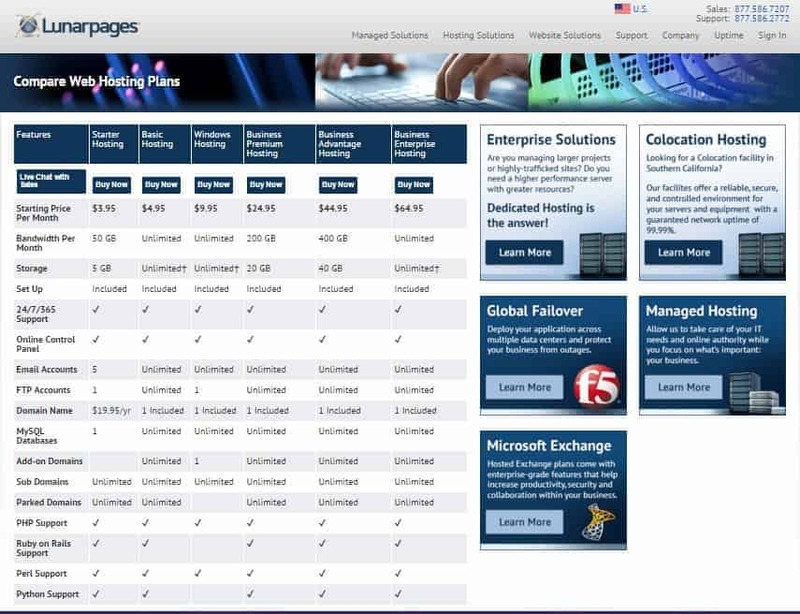 If they insist on using the cPanel, they will have to pay an extra $35 a month(!). And if you think the old users are lucky to have been able to use cPanel for “free”, think again because Lunarpages have stopped upgrading their cPanel theme! Everybody else are using the latest cPanel theme, except for this web host. They’re pretty much forcing you to use their in-house control panel! The LPCP isn’t all that bad, though. It’s unique and has a straightforward approach with little to no learning curve, so beginners will feel at ease. But if you dig further, you’ll find a great number of missing features that could seriously impact usability. For example, there are no app managers for one-click installation. In fact, you’ll have to request for one before they add it in the LPCP. And let’s not forget the fact that you’ll have to pay extra fees for a simple website builder! Lunarpages uses the Softaculous auto-installer for adding scripts and apps. Lunarpages have this so-called “Basic Version” which only limits you to 54 web applications. Again, it’s included with both LPCP and cPanel, but only upon request. If you go for their “Full Version”, you’ll have access to over 290 web applications, except that you have to pay for $15 a month! Once again, Lunarpages didn’t fail to surprise me by putting a price tag on tools and features that are otherwise available for free in other web hosts. So before you dig deep into your pocket, consider checking out other web hosting providers first! The features that come in a hosting plan may be the first thing that will appeal to you when looking for the right web hosting solutions, but the technology behind those features is what truly powers your website. Lunarpages built their data centers and servers on cutting-edge technology and they aim to bring you the best hosting possible. Lunarpages provide a 99.9% uptime guarantee on all their servers and network equipment over a 12-month period. This simply means that your site will be up and running at optimum speed every hour of the day. Armed with this kind of technology, you’ll have the peace of mind knowing that your website is always available to your customers and site visitors. This is one area that didn’t disappoint me. 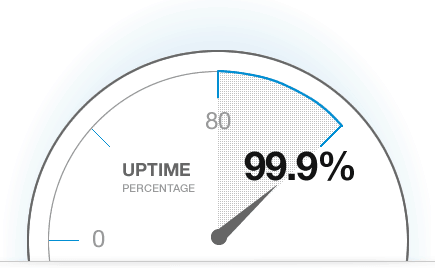 I checked out various reviews and feedbacks from real customers to verify whether or not they’ve successfully carried out their promise of a 99.9% uptime, and I’m glad to say that they’ve managed to deliver, with an average uptime of 99.90%. Lunarpages offers an industry-standard 30-day satisfaction guarantee, which you’ll probably need if you encounter some issues during the trial period. So if any of their hosting plans isn’t up to snuff, you can contact a customer support staff within the first 30 days of purchase so you can get a refund. If this service matters a lot to you, there are, in fact, many other web hosts that offer a more generous money-back guarantee. For example, InMotion provides a 90-day money-back guarantee; while DreamHost offers a lengthy 97-day money-back guarantee – the longest money-back guarantee you’ll find in the market! There are mixed reviews regarding Lunarpages’ customer support. Some clients report that their customer support staff couldn’t keep up, while some are very satisfied with their service. To end the confusion, I went ahead and tested some of their customer support methods. Like any other web host, their customer support has its ups and downs. You can reach them via telephone or email, and you can even submit a ticket. They also have live chat, but I found out that it’s only designated for sales purposes, unless you opt for one of their high-tier hosting plans. This is a bit disappointing, but it could have been worse if their staff failed to meet my standards. Good thing they did! Their customer rep answered my call almost immediately, and she was able to answer all of my questions. If you need quick help, Lunarpages also has an extensive knowledgebase called LunarWiki, as well as a community forum where you can see how other users found answers to their concerns. Should you consider Lunarpages as one of your web hosting options, or should you avoid it like the plague? It’s time to weigh in the pros and cons! As you can see, there are just as many pros as there are cons. So if you’re considering buying a plan with them, you must tread carefully! Okay, Lunarpages may have decent flexibility, but that’s only limited to their Starter hosting plan. The rest aren’t as feature-packed, and they’re not budget-friendly either. They use a simple, in-house control panel that mostly includes easy-to-use, beginner-friendly tools, but they’ve neglected other features that are essential for website creation and management. Good thing they offer a 30-day money-back guarantee so you can get a feel for their services and you have plenty of time to find out whether or not this web host is a good fit for your needs. From what I’ve explored, Lunarpages doesn’t really shine out with their web hosting services, not just for the limitations in features, but also with the pricing. Considering these factors, I don’t think I can recommend them to those who are just about to launch a website and are on a budget. If you’re in need of a more reliable web hosting provider, make sure to check out my reviews on BlueHost, eHost, iPage, and other top names in the industry. Maybe then, you’ll be able to find the one that suits your needs best. Not a standout web hosting provider, but it certainly delivers reliability and affordability.